Dr. Sinha has over ten years of research experience in bomedical science. She was a women scientist at NIPER Guwahati from 2014 to 2017. Her thrust area of research is biopharmaceutical development and Cancer immunotherapy. Before starting her own venture she worked as Associate Professor at Assam downtown University. 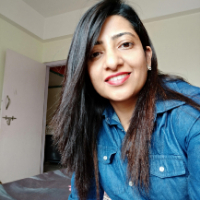 Swapnil started her start-up in 2018 which right now is focused on developing DNA and peptide based diagnostic kits for various diseases including UTI, thyroid malfunction, diabetes etc. Dr. Sinha has secured several fundings for product development, notably, BIG (Biotechnology Ignition Grant) sponsored by Department of Biotechnology, Govt. Of India, TiE (the Indus Entrepreneurs) sponsored by DBT-BIRAC etc. "I qualified CSIR-NET-JRF exam and got admitted to the PhD program at CDRI lucknow. After completing my PhD I did two postoctoral fellowships from Canada and USA."